When ultra-athlete, World Vision Ambassador and Melbourne Big Ideas Summit speaker Samantha Gash ran 3253 kilometres across India in scorching heat and punishing humidity, she discovered that even best-laid plans will always go awry. But, as she tells Procurious, any challenge can be overcome by adapting your plan, recalibrating and moving forward. Hear Samantha Gash LIVE at the Melbourne Big Ideas Summit on Monday 30th October. Click here to learn more. Who could be a better pick to talk about endurance than an ultra-marathon runner? As a former lawyer turned athlete, Samantha Gash has experienced challenges that require an enormous amount of persistence both within a corporate environment and on the running trail. She has seen first-hand how projects and big ideas will fail without the right mindset strategies, and the extraordinary achievements we’re capable of when we step outside of our comfort zone and tap into our hidden reserves of persistence. 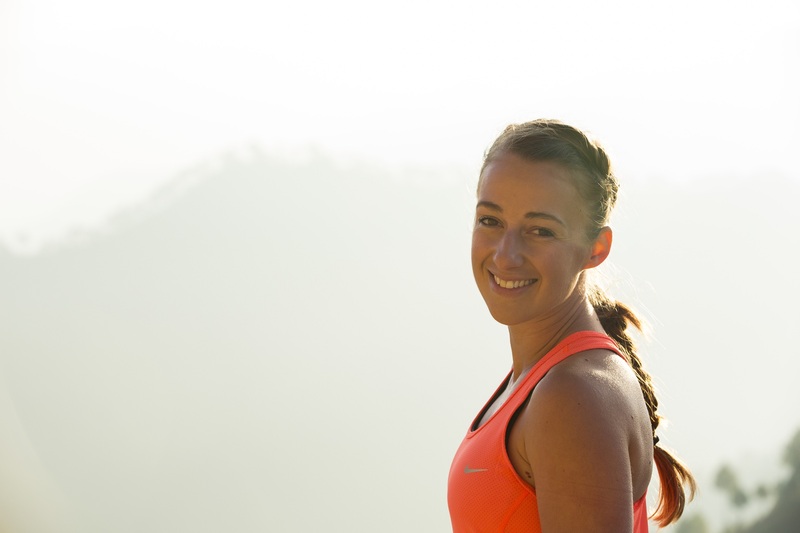 As a World Vision Ambassador, Samantha Gash ran 3253 kilometres in 76 days across India, raising over $150,000 to fund education programs and creating a global digital campaign around the barriers to quality education for children across India. Her other achievements include a 1968km expedition run along South Africa’s Freedom Trail and four 250km desert ultramarathons as part of the Racing The Planet – Four Deserts Grand Slam. It’s an impressive list, and reading it on paper doesn’t do justice to the heat, flies, exhaustion, injuries and sheer discomfort Samantha must have experienced on these ultramarathons. As she will tell the audience at the Melbourne Big Ideas Summit on October 30th, things never go to plan – but that’s okay, particularly if you have the right mindset to adapt and push onwards. Samantha isn’t exaggerating when she says that in India, not one day went to plan. “From weeks two to four, I was physically and mentally shaken by the fact that I had to walk for considerable periods at a time. I was experiencing body shutdown, brought on by the stress of running across India in 44 degrees and over 90% humidity, combined with trying to keep up with a demanding content schedule to meet stakeholder obligations when it would be optimal for my performance if I could rest”. For two of the eleven weeks in India, Samantha says she was pretty much crawling. “My stomach blew up, I was getting injuries, and I wasn’t giving myself the recovery I needed. My body wouldn’t let me move beyond a power walk and short running sections. Eventually, I realised that I had to roll with it, and accepted that this was the reality for that part of the challenge. And that’s when my body started to heal itself. Seventy-seven days later, my body was injury free and powerfully running up the mountains in the east of India”. The language Samantha uses – adaptability, stakeholders, execution – comes across as highly professional and wouldn’t be out of place in a corporate environment, reflecting her background as a lawyer. But there’s one over-used business catchphrase – “moving forward” – that takes on a different meaning when used by an endurance athlete. “’Relentless forward motion’ is the idea that it doesn’t always matter how fast you’re moving; so long as you’re moving forward, you’re always moving towards your goal. It’s important to think about the strategic parts of the project when you’ll need to devote 100% of your focus and greater energy. When the odds are stacked against me in endurance racing, I rely on the strategies I have prepared that allow me to move forward. Samantha recommends that leaders should put on their “armour of toughness” at challenging times to make sure a project continues to move forward. This is particularly important at the start of a project, but down the track it’s often a good idea to show some vulnerability. Samantha Gash is part of an incredible line up of inspirational, international speakers appearing LIVE at the Procurious Big Ideas Summit Melbourne on Monday 30th October. Time is running out – reserve your seat today!